ComeOn! 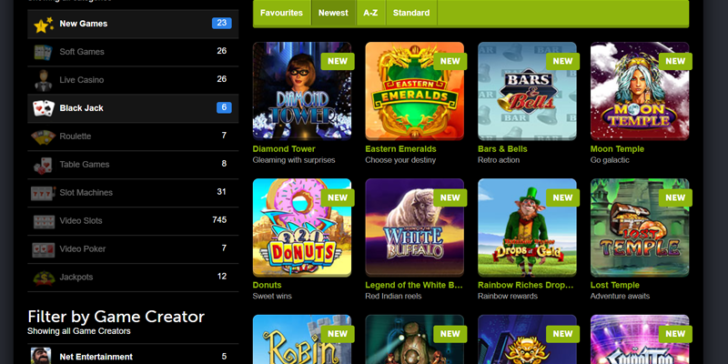 Casino has been built for one purpose: to show off some of the best casino games there are. Best of all, it’s pretty much nailed it. Instead of bringing you games from just one developer, they’ve teamed up with Microgaming, Net Entertainment, Sheriff Gaming, and Games OS to offer a massive selection of more than 350 games, ranging from slots to blackjack, scratch cards to video poker, and roulette to special games. They’re not just any games, either, as ComeOn! offers the latest in top casino games, including Net Entertainment’s South Park slot, The Dark Knight Rises slot from Microgaming, and a series of impressive special games, such as Max Damage Alien Attack. These games offer a wide range of ways to win, and there are also big prizes to be won at the progressive jackpots such as Mega Moolah. There’s also something more they provide: the ability to play more than one game at once! Whenever you’re playing any of their great games, there is an icon in the top corner that allows you to play on 1 game, 2 games, or 4 games at the same time! This is the absolute perfect way to play when you’re chasing that elusive jackpot. A word about their design, too. As one of the new breed of welcoming, integrated casinos, ComeOn! makes you feel at home right away. Their wood and wallpaper look make you feel like you’re at the pub, while the mobile casino integration means that you could even play at the pub, too! With their very clean and up to date look, ComeOn! Casino alongside ComeOn! Sportsbooks are sure to attract the new generation of gamers, so get in now while they’re still the next big thing. ComeOn! Casino’s Christmas Calendar Giveaway is Just Kicking Off! Get Two Bonuses on Sunday/Monday with Your Bonus Train ComeOn! Casino Promo Code to! Play with Starburst Slot at ComeOn! Casino and get 100,000 ComeOn! points today! 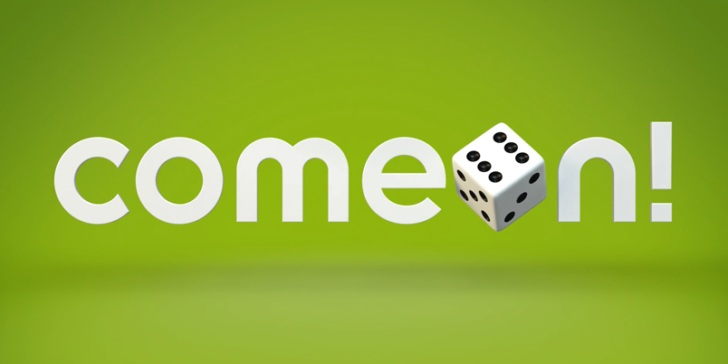 Win 90 Free Spins at ComeOn! Casino Today! 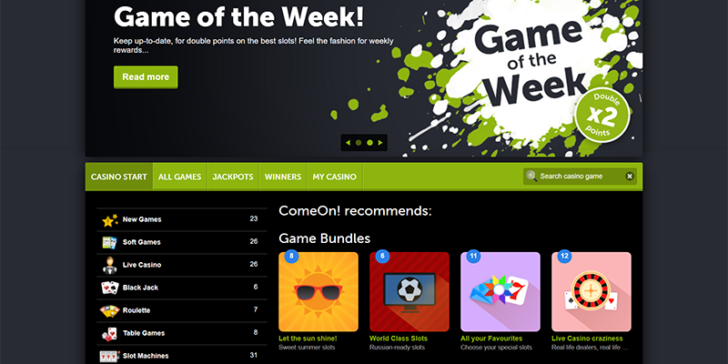 Join Big Tournaments at ComeOn! Casino and Win Lots of Cash!